such as GameSpy to search the net. 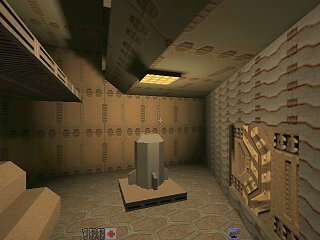 This is a single player six map (two unit) game for Quake 2. 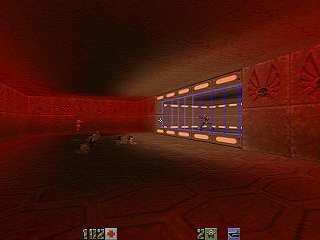 It has support for 4 coop & 8 deathmatch starts (not play tested), but was designed for single player use. I may add more levels later, as time permits. 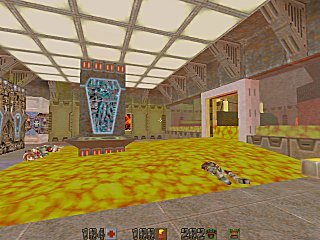 XFire2 replaces XFire1.zip, with three new maps and some changes to the first three old maps. 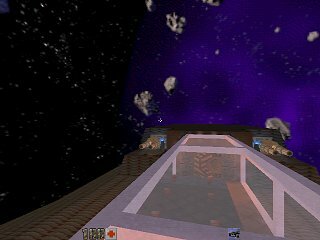 These *.map files use QUARK's floating point number values, and should be compiled with TXQBSP37 (or later), and ARGHRAD2 for best results. 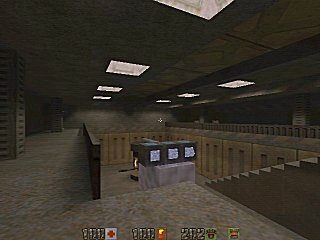 Here are some links to other Single Player Quake II Maps that you may find interesting. I will not rate them, except to say that I found them worth the download. These are links to other map / game sites. 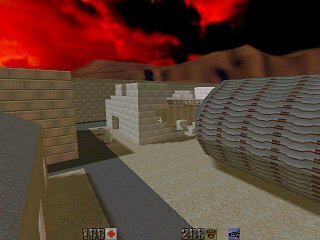 Planet Quake, The new world of all things gaming. 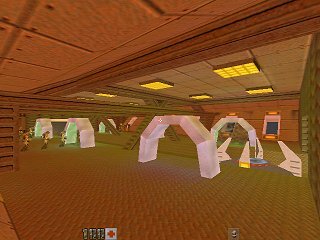 File Planet, gaming resources and files. 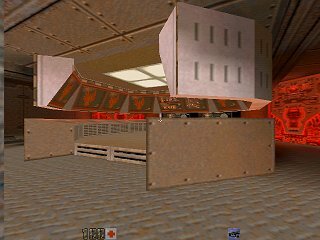 LT. Dan's, a reviewed collection of Quake II maps. Cheating Planet, this one speaks for itself. GameSpy.com, get the gamespy program here (find and enter online games). 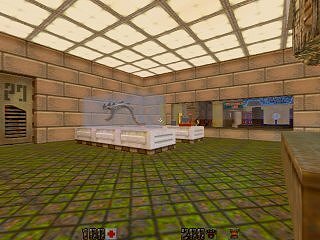 Over The Wall, Maps and files. JB Client 2.5, (33.4 Mb) version 2.5 of the Jail Break game conversion kit. Selected Skins used for this tournament. 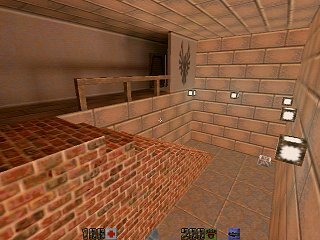 Practice Maps, rename to an unused PAK number, then put in /baseq2 directory. 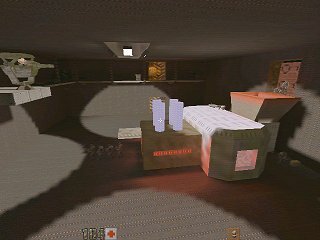 Jailbreak is a team deathmatch mod in the tradition of CTF. There are two teams, Red and Blue. Each team has a base, and in his base is a Jail. When you kill an enemy, he goes to your Jail. Likewise, when you are killed you will go to their Jail. Once you have team mates in Jail, you can free them by penetrating the enemy's base and hitting the switch to open the Jail doors. When your entire team is in Jail, you are all automatically EXECUTED and each member of the other team's score increases by the number of players on your team. You will then be spawned out of Jail. Getting Executed is bad, so try not to let it happen by freeing your team mates. You can only play the jail game in jail. To play you need a partner, look at someone else in jail and press 'p' Your partner must look back at you and also press 'p' Once you both are partnered with each other, you can play the game. Hit the 'j' key to roll your dice. Both players must roll, then the next turn begins. If you tie you each win 5 points, if you win you win 10 points + 1/4 of your partner's points. Press 'b' to access a buy menu, you can use the points you win to buy anything from weapons to a free teleport out of jail. Jailbreak is a mod where teamwork is Everything; the best team is almost always the one that will win. To be a good team player means looking out for each other and not hogging equipment and armor. If you are the first into the Armory don't just grab everything - take only what you will use. Also learn how to drop excess ammo for other people on your team. Because the railgun is the weapon of choice it is a good idea to have a health + armor value over 100 (to survive the first "hit"). You only need one armor shard to give you a second chance, so leave some shards for the rest of the team (unless you think the enemy might get them first). Your weapons will not hurt people on your team. That means you can use a shotgun or railgun to boast a team mate up onto a ledge etc. so pay attention to anyone who might need a boast. Learn to rocket jump. Jailbreak maps have shortcuts and special areas that you can't otherwise get to without help or explosives. Very important, learn how to escape. Most jails have an escape route that needs at least two people to reach. And if you think the enemy will shoot at you as you try to escape, DON'T stop short and block the passage for others - this is very annoying and people who do this may get "kicked" from the host server. gl_modulate X (where X is a number from 0-255). This command will brighten up a map, remove shadows and make targets seem to glow. Not really fair, but so many are using it now you might as well know about it. 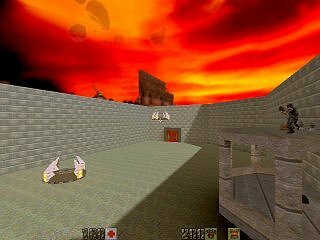 Strafe Run. This takes advantage of a game bug, where forward and side (strafe) movement can be added together to give you a boast in running speed. It just means you hold down a left or right movement key while running; it's harder to aim but you really move.